EXMAR LPG (the Joint Venture between EXMAR and Teekay LNG PARTNERS) announces the sale of the Very Large Gas Carrier FLANDERS HARMONY (85,826 m³ - 1993 built) and the Midsize Gas Carrier TEMSE (35,754 m³ - 1994 built), the company said in its press release. TEMSE is expected to be delivered to its new ow ners by the end of the first quarter 2014 and FLANDERS HARMONY in the course of the second quarter 2014. The capital gain realized by EXMAR for its 50% share in EXMAR LPG will be approximately USD 10.4 million. This transaction will generate for EXMAR LPG net cash proceeds of around USD 30.0 million. The gradual sale of older tonnage coincides with the forthcoming delive ries of EXMAR’s more efficient Midsize newbuildings. These deliveries will substant ially increase the company’s ability to support its customers with a competit ive quality fleet based on innovative designs. 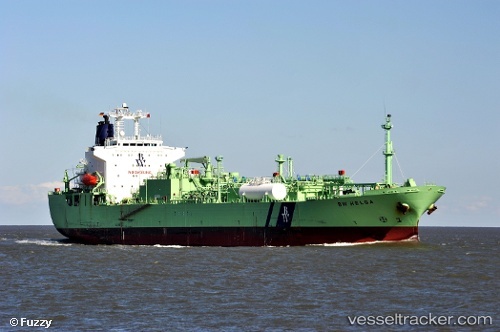 EXMAR LPG has increased its participation of 33% in the time-charter in of BW TOKYO (83,300m³ - 2009 built) and BW KYOTO (83,300 m³ - 2010 built) to 50 % in both vessels. In addition, BW LPG and EXMAR agreed that the BW TOKYO will be commercially operated by EXMAR from end March onwards.